Paddle Monster is an active SUP racing community, with training and technique videos as well as on- and off-water strength and conditioning workouts. World-class paddlers and coaches Larry Cain, Seychelle and Travis Grant offer customized training programs and direct feedback to develop skills. 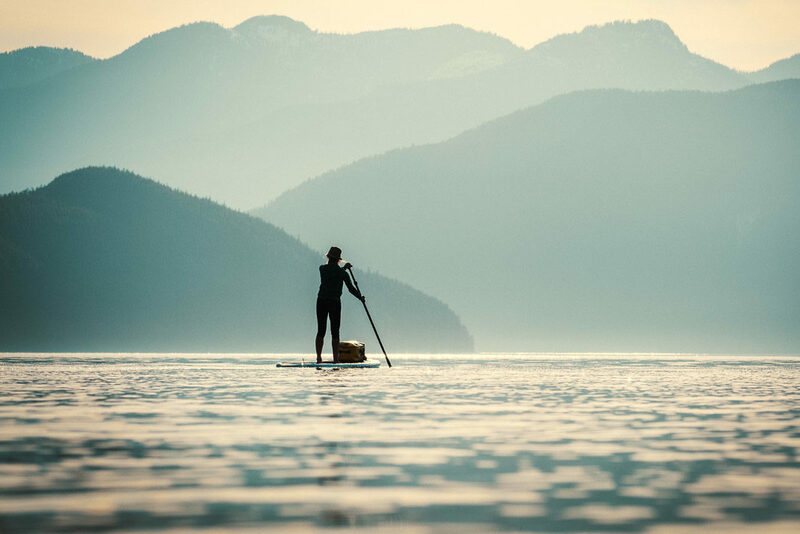 Rub shoulders with other Paddle Monsters, including big names like SUP pro Connor Baxter, by posting your paddle workouts and photos in the feed. BEST FOR Competitive paddlers and social butterflies. The redesigned Paddling Magazine app will keep you connected to the water even while on land. 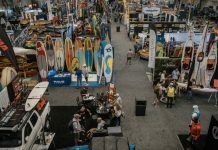 Get the latest news, trends, gear, reviews and adventures from the paddling industry. Read new and archived issues of Paddling Magazine and catch amazing photography, personalities and stories covering SUP, canoeing, kayaking and whitewater. BEST FOR Day-trippers, expedition paddlers, campers, racers, boaters, lily dippers and anyone who can sound out small words or likes pretty pictures. Paired with the SUPerior paddle sensor ($99), the Motionize SUP app provides real time feedback to improve your stroke. Receive live audio cues and view metrics, including entry angle, stroke count and distance per stroke while paddling. This app aids in making adjustments on the fly to improve efficiency and optimize your performance. BEST FOR Athletes and skill development. 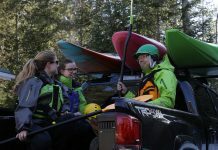 This newly launched user-generated database includes all the route information you could possibly desire for your next paddling trip, including flows, rapids, hazards, campsites, directions and the nearest services. There are 250 routes listed and more are being added every day. Find your next park and play spot, river run or flatwater paddling trip with Paddling Maps. BEST FOR Paddlers looking for new routes and river runs. The Paddle Logger app is all functionality and no fluff, used for recording time spent on the water. Start the timer to begin logging metrics such as date, time, duration, distance, average speed, max speed and location. Separate fun versus fitness paddles, and add notes to individual sessions. After paddling, view the tracked route on a map, which includes a visual of the speed data captured. BEST FOR Minimalist data geeks. With comprehensive forecasting layers, the Windy app is like having tiny meteorologist in your pocket. Consult Windy for wind speed and direction, wave swell data, temperature, visibility, currents and water temperature to check if conditions are safe. The animated map dynamically displays current and forecasted conditions in such a user friendly manner even the average land-lubber can comprehend. 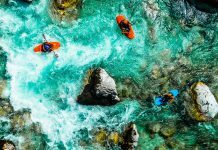 Before you head out on your whitewater board, consult RiverApp for water levels by searching for gauges and flows rates on over 8,900 North American rivers. Users can also report hazards through the app, like strainers or access issues. Best of all, set up notifications for when a specified river level is reached—ding, ding, your standing wave is in. This Red Cross-sponsored app contains step-by-step support for common medical emergencies arising while on the water, such as hypothermia or heat stroke, allergies, stings and bites. Be Ready will supplement your first aid knowledge and qualifications with an on hand reference for response and water safety. BEST FOR Anyone who breaths or bleeds, or has friends who do. Offering offline maps of the whole world, Maps.me is perfect for paddlers who travel. Even offline, Maps.me can track your progress, offer turn-by-turn navigation and search functionality. With more than 90 million downloads, Maps are updated by OpenStreetMap contributors daily. Campsites, grocery stores, hiking trails and other points of interest are searchable and marked on maps. BEST FOR Traveling paddlers on the move. This award-winning app was designed by the ACA for paddlers who want to maximize fun and safety. Use it to forecast surf and tide, as well as river levels. Plus, file float plans, download gear checklists and find an ACA-certified instructor close to you. BEST FOR Newbies and old-timers alike. 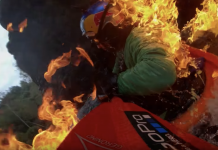 GeoSUP combines tracking and analyzing SUP performance with social sharing. On the water, this app will map a route, gather speed and distance information and log wind data. Recorded trip sessions can be submitted to the app database, which includes geo-tagged photos and videos and will appear on a paddle log feed for all users. GeoSUP is a resource for a global network of user-added paddle routes and a tool for comparing performance to other paddlers logging sessions. BEST FOR Those lamenting that Strava doesn’t have a large paddleboarding community. 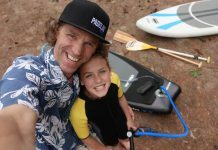 Courtney Sinclair is a SUP instructor who competes win ultramarathon paddleboard races.